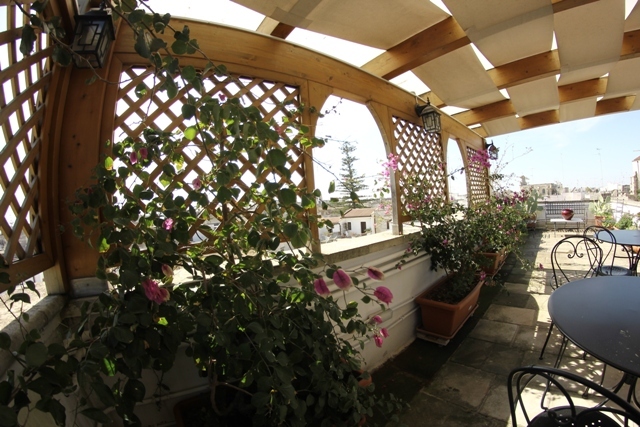 The Bed & Breakfast “Corte Barocca” is situated in the old town centre of Lecce, a short walk from the majestic Basilica of Santa Croce, on the second floor of a recently renovated antique palatial building . The favourable position of the house means enjoying the beauty of countless architectural sights and the use of numerous services which embellish the heart of this Baroque town: the splendid squares Piazza Sant’Oronzo and Piazza Duomo, the antique churches, the patrician stately homes, as well as numerous restaurants, typical trattorias, well-known cafe and characteristic meeting-places. Corte Barocca is the ideal combination of comfort, elegance and style with a welcoming and refined atmosphere. The B&B has double rooms with en-suite bathroom, air conditioning, colour TV and fridge. The rooms are bright, comfortable with refined furnishings so as to offer a perfect union between a homely atmosphere and the exclusive style of an antique and impressive building. 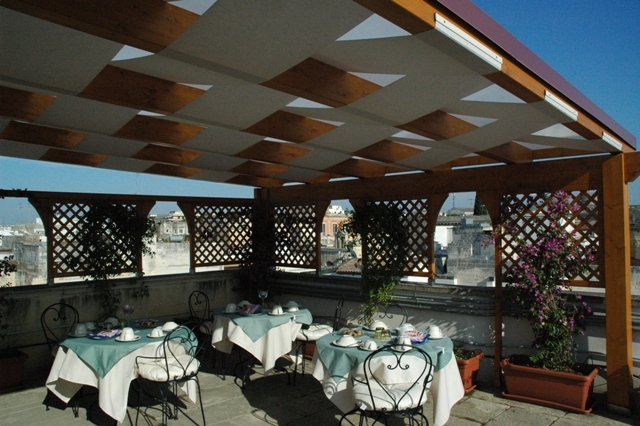 Breakfast can be served either in your room or on a large roof garden from where you can admire the striking scenery.